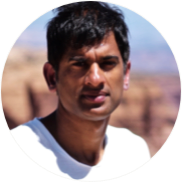 Dr Chatterjee talks to world-leading sleep researcher, author of the international best-selling book Why We Sleep and Professor of Neuroscience and Psychology at the University of California, Matthew Walker. They discuss everything you ever needed to know about sleep in this 2-Part interview. In Part 1, they discuss brilliant tips to combat jet lag, explain how sleep can enhance athletic performance and decrease risk of injury and reveal just how much caffeine consumption can impact sleep. Finally, they explore the reasons behind the current global sleep-loss epidemic and the effect that this is having on our health. Matthew is based in California – how does he recommend combatting jetlag? How does caffeine affect your bodyclock and why does Matthew see this as a problem? 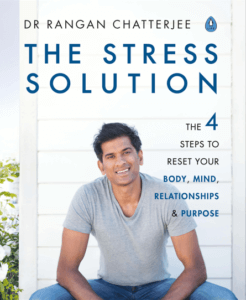 Why does Matthew believe sleep is the foundation pillar of health? How can better sleep help you lose weight? How does sleep affect your motivation to exercise and affect your ability to exercise? Hear how sleep, diet & exercise have bio-directional benefits and detriments. Why does Matthew recommend a hot bath or shower before bed? How do world class athletes use sleep to enhance performance? What does Matthew see is the biggest problem about sleep deprivation? Does sleep have an image problem? Why did Rangan shift his sleep pattern? 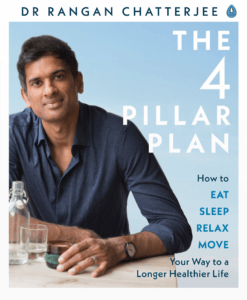 Why did Rangan include Sleep in his book The 4 Pillar Plan? What does Matthew think needs to be done about the sleep awareness of UK medical professionals?